Kee Etsicitty, 92, who served during WWII as Marine Corps Navajo Code Talker with the 3rd Marines 7th Division, sits in his home he says he built in 1971 in Chichiltah, N.M. Etsicitty recently had his roof repaired by the Navajo Hopi Honor Riders, who, through donations, volunteered their time to do the repair work. TOP: Anthony Lee, a member of the Navajo Hopi Honor Riders, volunteers his time and works to complete the roof of Navajo Code Talker Kee Etsicitty’s home on Sunday in Chichiltah, N.M.
It’s a beautiful Sunday afternoon in this small community as some 20 men pay tribute to a Navajo Code Talker. Most are members of the Navajo-Hopi Honor Riders, a motorcycle group formed in 2003 that promotes safe riding and helps the veterans. On this Sunday afternoon, the members are re-roofing the home of Kee Etsicitty, 92, one of about 24 Navajo Code Talkers who are still alive. 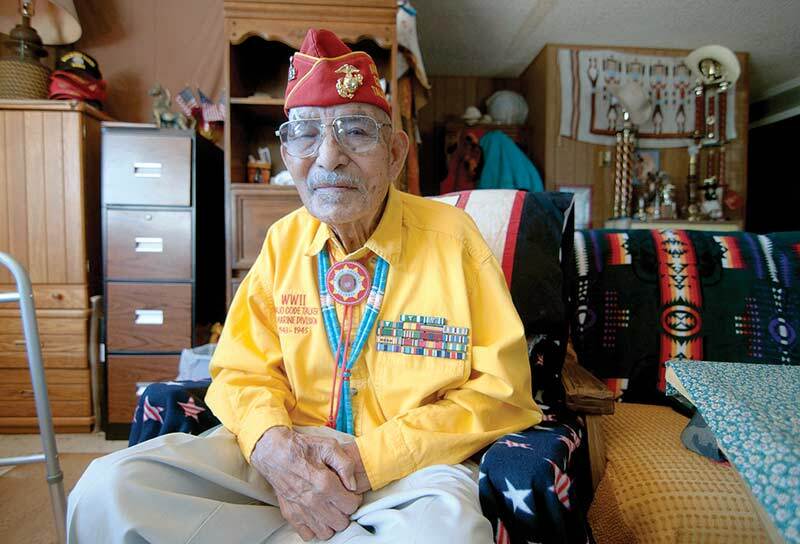 “I really appreciate the work they are doing for my family,” said Etsicitty as he sat in a chair in the living room dressed in his code talker uniform. 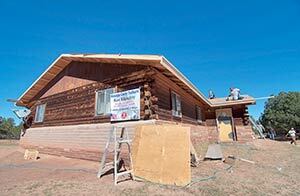 Etsicitty – which is pronounced as Etsitty, the spelling a reminder of his years in the Marines when paymasters hard a hard time spelling Navajo names – had practically given up hope of getting the roof repaired after years of seeking help from the Navajo Nation and his chapter. “The way I see it,” he said, “is that the tribe and the chapter officials only help each other. They only help people they know." 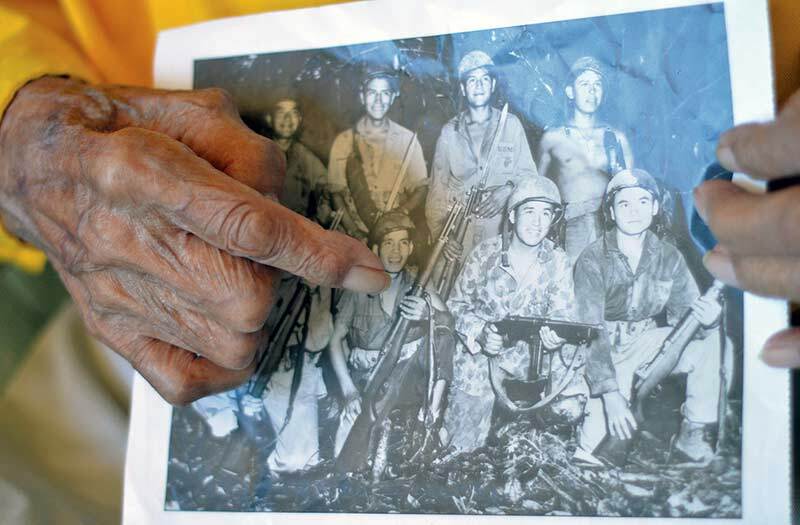 Etsicitty grew up in Chichiltah and went into the Marine Corps in 1943 as one of some 400 Navajos who used their language as a code to fool the Japanese. “Sixty of us went in together,” he said, adding that during the next two years, he would see action in places like Guadalcanal, Guam and Iwo Jima.